People are not numbers. Its a simple statement, but practised by so few organizations. At JY&A Consulting, we aim to understand an organizations valuesgetting to the core helps us connect it with each audience member, future-proofing it in an era where people demand greater transparency, ethics and humanism. 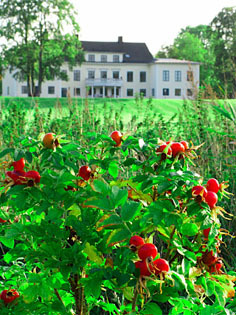 Medinge Säteri, Sweden, where in 2002 Jack Yan and some of the top minds in the branding profession discussed the ideas of ethics, transparency and social responsibilityand how to respond to such ethical disasters in the corporate arena such as Enron, and to criticism of the profession in books such as No Logo. The Medinge Group was born here, while we found renewed purpose in our quest for ethical, humanistic branding. In 1999, two things were very apparent in the business world. First, there were forces that would continue to globalize. Secondly, there was a rising consumer demand for brands that were moral and ethical. We also knew a few other truths, too. The world was obsessed with finance and numbers. Yet those numbers failed to tell people a great deal about the organizations they represented. Brands could be more transparent. And a company in a third-world country could only find real worth if its brand were up to first-world standardsbecause it could then compete and raise the standard of living of the people in its community. All these forces were pointing to a twenty-first century that was going to demand more ethics, more conscience and more transparency. Humanistic branding, in other words, was neededmore than just gestures. By the turn of the century, we were writing about corporate social responsibility, transparency and ethics, and relating them back to branding. With our clients, we were finding ways to bring more of these ingredients to help future-proof them for a more savvy, media-aware consumer. At the end of the day, people are not numbersand organizations need to have a proper relationship with every person that they touch. This is why we find it so important to understand not only an organizations vision, but its values. To know at the core the real identity of the organization, in order to help build its awareness and create positive associations. And to have an impact on the strategy, finding ways to create a better world, together. Photograph of Medinge Säteri by Cat Soubbotnik.